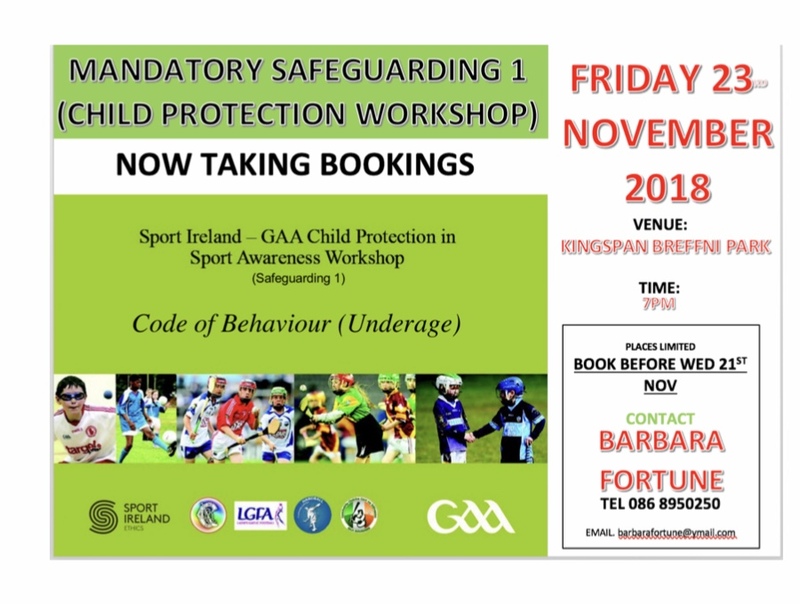 Cavan GAA are running the following Child Protection courses (Safeguarding 1) which is mandatory for anyone coaching or intending to coach underage teams. Contact Barbara Fortune 086 895 0250 to register by next Wed 21st. If you want to run a course in your club please contact Barbara on no above.